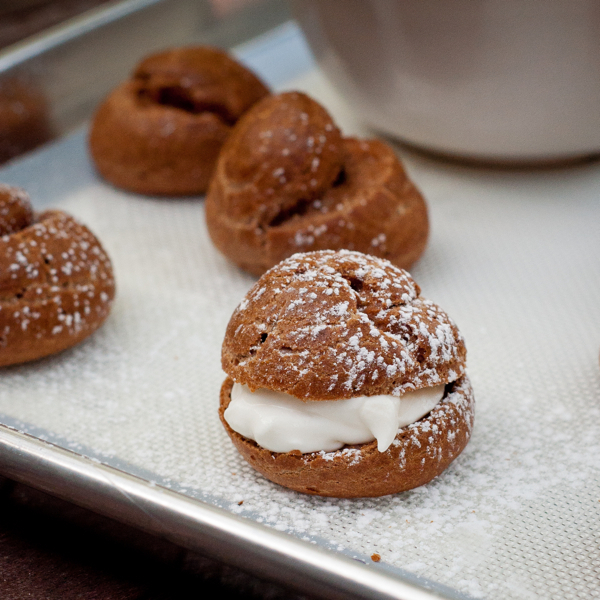 Tuesdays with Dorie (Baking Chez Moi): Chocolate Cream Puffs with Mascarpone Filling | eat. live. travel. write. 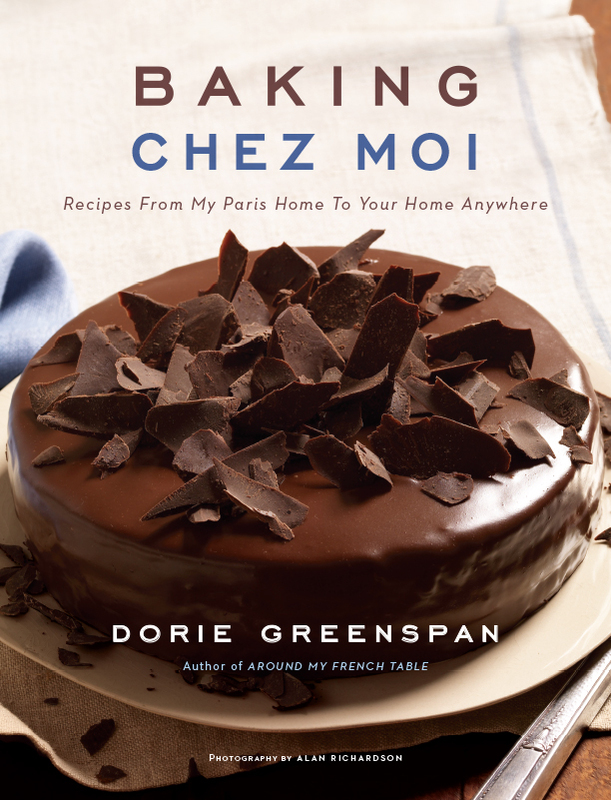 This week’s Tuesdays with Dorie recipe from Baking Chez Moi was a recipe I made four years ago when Baking Chez Moi first came out. 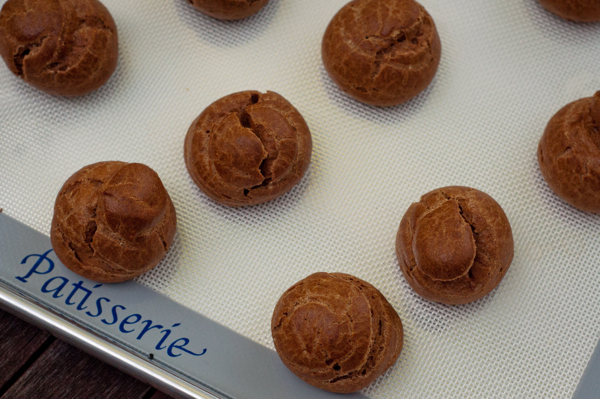 Profiteroles are always a good idea and Dorie has the brilliant idea to make this chocolate version which appears in Baking Chez Moi. I’ve made these a number of times over the past few years but not recently so am taking the liberty today to repost the original images I took back then. I just flew home from San Francisco (on a redeye flight – which I have decided I am clearly too old to do anymore – I was pretty useless yesterday and basically caught up on three days’ sleep in one, when I was planning on doing a little baking… (I think, though, after making and photographing hundreds of Dorie recipes every week – sometimes multiple times in a week – over the past near decade, I’ve got a few free passes to use!). 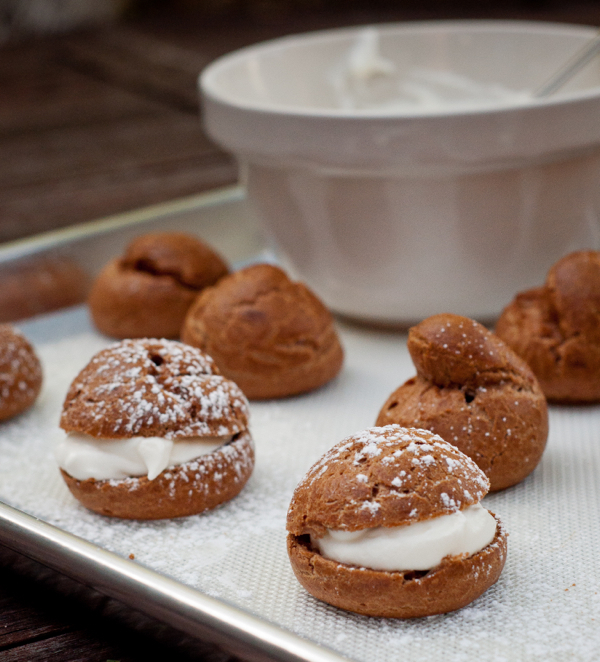 Instead of filling them with whipped cream as is typical, these have a filling of mascarpone tinged with rosewater and a touch of red food colouring. I don’t like the flavour of rose so much and rarely have rosewater on hand so I went with the plain version of the filling, with just as tasty results! 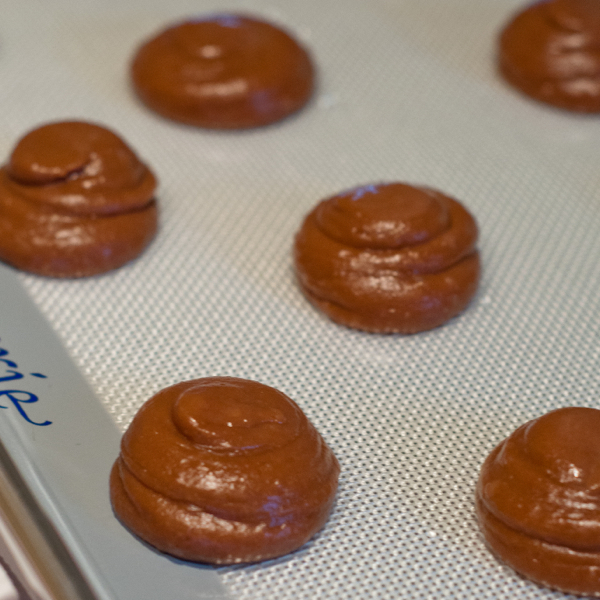 So pretty, these would make a great addition to any holiday dessert buffet, wouldn’t they? Get the recipe for Dorie Greenspan’s Chocolate Cream Puffs with Mascarpone Filling on page 233 of Baking Chez Moi! Please note: This post contains affiliate links. I am a participant in the Amazon Services LLC Associates Program, an affiliate advertising program designed to provide a means to earn fees by linking to Amazon.com and affiliated sites. This post also contains affiliate links from The Book Depository. This means that if you click over and purchase something, I will receive a very small percentage of the purchase price (at no extra cost to you). Thank you in advance! 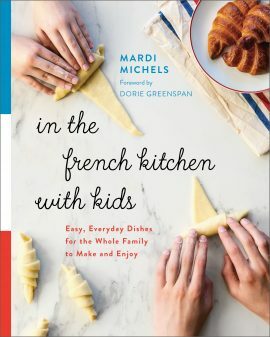 MY BOOK! In the French kitchen with kids is out now! Click here for details and how to order! Welcome home. These puffs were great, and I agree very pretty. red eyes always sound like a good idea, but always stink! these are adorable, regardless of when you made them– looking forward to doing them for the next posting. I don’t like rose water either. I agree these would be great for a holiday table. We loved them. So pretty! They would be perfect on a holiday table.